orange you glad it’s Saturday? 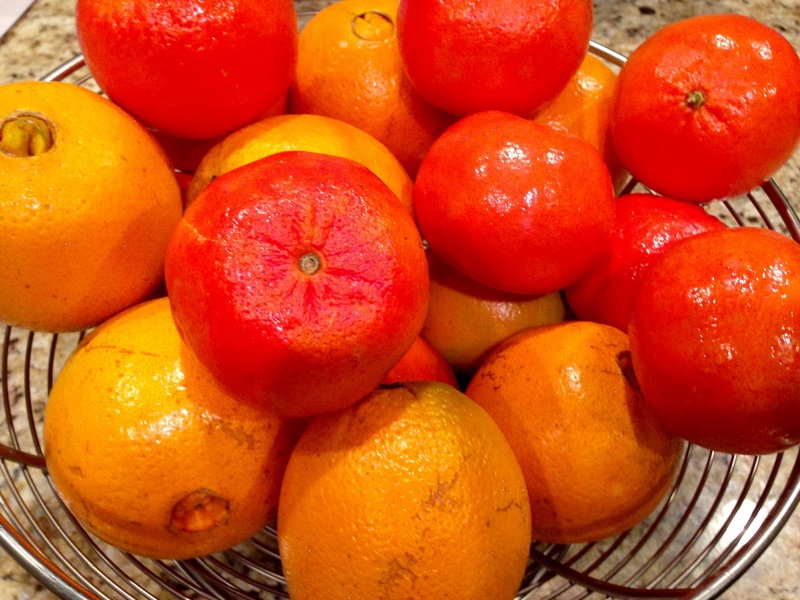 this year we received like a thousand beautiful tangerines and navel oranges. after digging out my kitchen from Christmas gift baskets and the rest of the holiday mess, i finally, finally got around to making some juice this morning. 12 fruits turned into about 4 cups of this sweet deliciousness. these 2 are a great combination. i rounded out Spy’s breakfast with the 3 B’s (bacon, bun and berries) to get this rainy, grey Saturday off to a sunny start. hope yours is sunny, too!